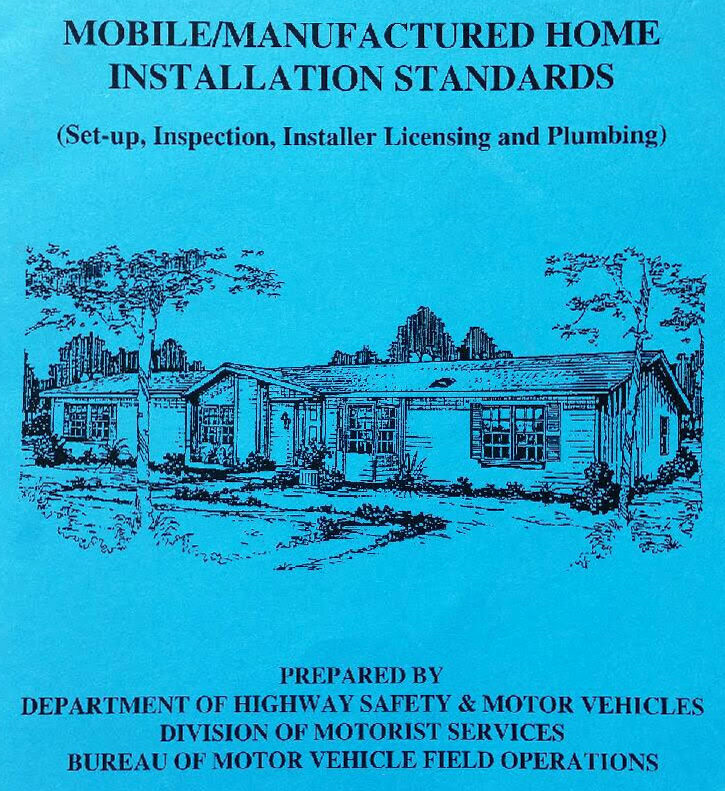 This is the state of Florida issued manual for mobile home installers. 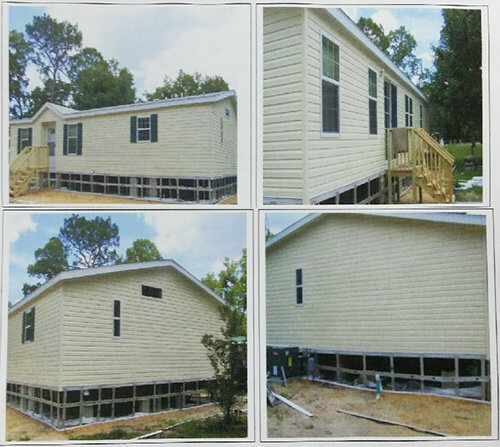 It explains all requirements to Anchor a mobile home correctly. 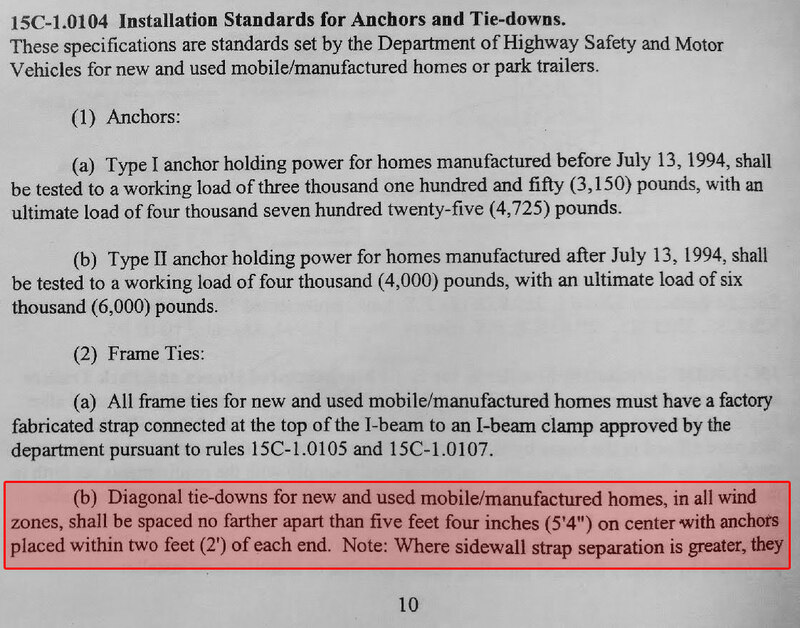 Page 10, Item 2B: "Anchors shall be spaced no further than 5'4" on center with anchors placed within two feet of each end." Page 11 says "Where sidewall strap separation is greater than 5'4" the overheads must be tied individually. 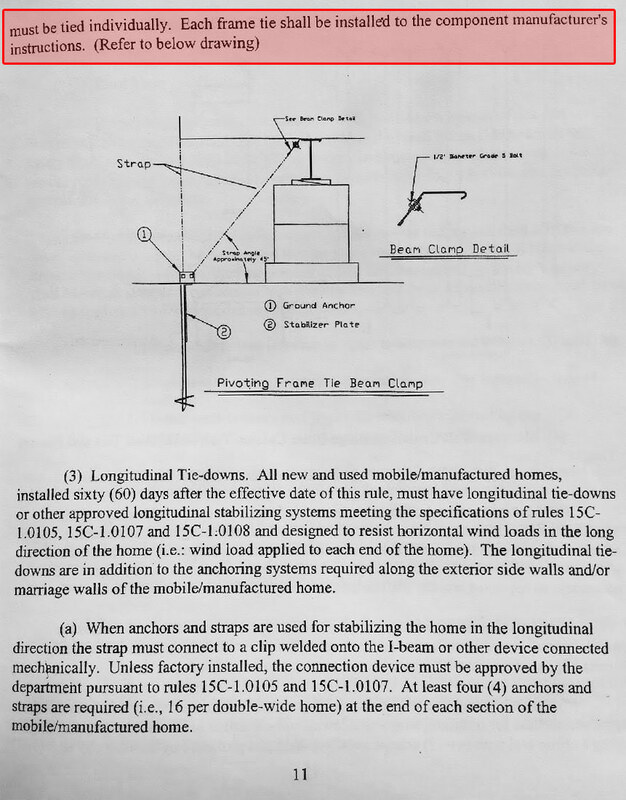 Page 11 also shows a basic anchoring installation. 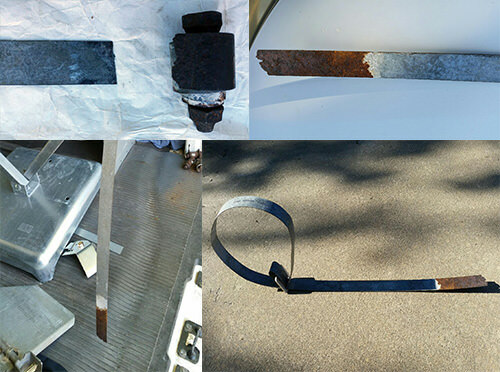 Most FHA and VA loans require vertical vinyl skirting to be supported with bracing to prevent the skirting from collapsing. Installing the bracing behind the skirting also prevents the wind from blowing underneath the home. Pictured above is Metal C-Channel Bracing properly installed, vertically every 3 ft, and horizontal bracing connecting all the verticals.